Reservations are required for the show. Our tickets are open for any night and are not date specific until you call to make reservations. (Cirque Du Soleil is closed on Sundays and Mondays). All you need to do is phone Cirque at 407.939.2477 to make reservations. Let them know you have prepaid Category 2 tickets when booking and you'll be all set. There is no life experience that could possibly prepare you for what you are about to feel. A masterfully scored evening of entertainment. 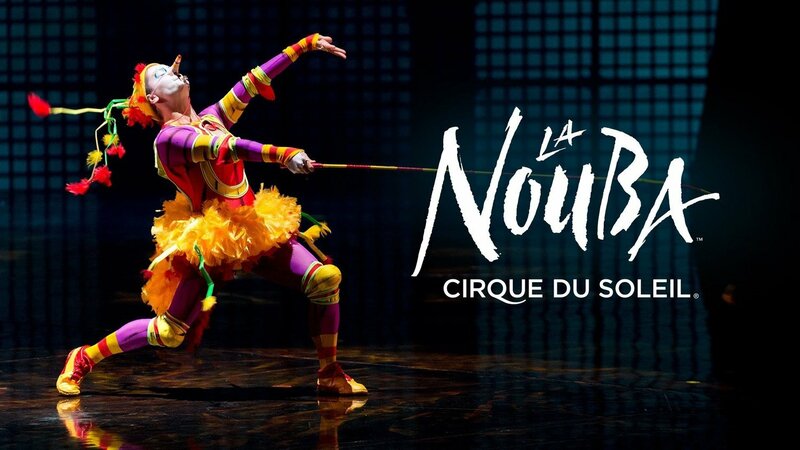 Cirque Du Soleil® La Nouba™ blends the daring with the endearing, and it make the impossible seem quite possible indeed. It will dazzle you with its outrageous costumes and outlandish acts.